Hey Cake LOVERS and lovers of all things cake! The last baking tutorial was on a scrumptious raspberry custard tart utilizing the fresh raspberries I picked from the orchard. I knew what I had a taste for, so I got to researching a found a pretty good recipe. I did want to make a few adjustments as stated in the video. The croissant dough made a quick and easy shell but I can imagine that the shortbread or even a vanilla cookie crust would be a 10 out of 10 on the flavor meter. So, Please feel free to do what you love and experiment! Preheat the oven to 350°. Line the dough with foil and fill with pie weights or dried beans. Bake the tart shell for 25 minutes, then remove the foil and weights and bake for 5 minutes longer, or until the pastry is lightly browned on the bottom. Cover the shell loosely with foil if the sides begin to brown too quickly. Let cool completely on a rack. Arrange the raspberries in concentric circles over the bottom of the tart shell. In a small bowl, whisk the cream with the egg yolks, sugar and scraped vanilla seeds. Pour the custard into the tart shell. Bake in the middle of the oven for 50 to 55 minutes, or until the custard is set. Let the tart cool on a wire rack for at least 30 minutes. 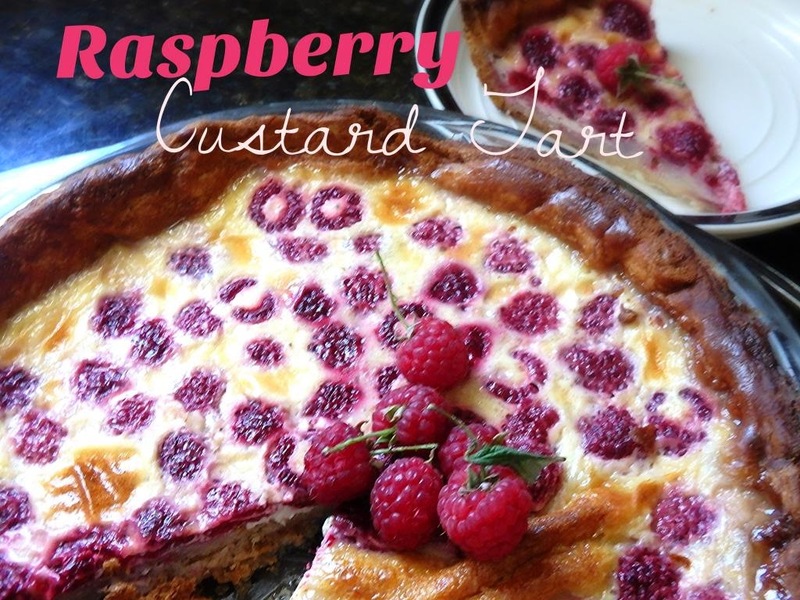 Serve with fresh raspberries and the raspberry-caramel sauce.